Discussion in 'iPhone Tips, Help and Troubleshooting' started by mha53, Oct 7, 2014. Was the phone dropped in water at any point? 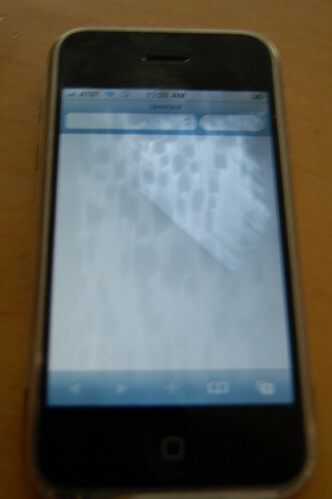 The screen looks like how wet phones normally look. It might also have something to do with the IPSW you are trying to restore with. Try using a different IPSW or using redsn0w to boot pwned dfu mode and restore like that. It could be this because error 9 can be related to the ramdisk kernel rejecting the ASR because it is not signed properly, thus breaking the connection with the device and causing error 9.